Burnout is a topic discussed more than ever in the Irish health system. The ongoing shortages of consultants and GPs, amid ever increasing demand for healthcare services, are clearly taking a toll on the profession. Every day there are stories of GPs and consultants retiring early from their posts due to being overwhelmed by their workloads and frustration at the system they are working in. 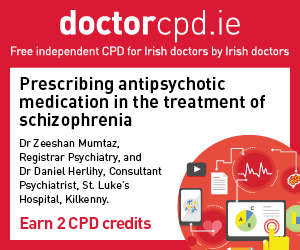 Up to one-third of Irish hospital doctors have experienced burnout and up to 10 per cent have reported severe to extremely severe levels of depression, anxiety and stress, a recent study showed (see panel p16). The realities of the issue are highlighted by a doctor who spoke to the Medical Independent (MI) about her experiences (see panel opposite). Prof Cynthia Bradford, Professor of Ophthalmology and a former President of the American Academy of Ophthalmology, gave a sobering presentation on the impact and reasons for doctor burnout at the Irish College of Ophthalmologists’ Annual Conference 2018. Factors leading to medical burnout include lack of control over working conditions and decision-making, excessive workload pressures, chaotic and inefficient work environments and onerous administration tasks, Prof Bradford outlined. The most susceptible doctors are dedicated, conscientious, responsible, motivated and often idealistic with perfectionist qualities, she said. Primary care doctors are worst affected by burnout in the US, Prof Bradford reported. Overall, around 400 doctors die by suicide in the US each year, she said, the size of a large medical school class every year. Burnout also impacts patients negatively in relation to the quality of care they receive and it leads to higher healthcare costs, she said. 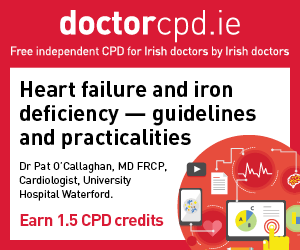 Dr Paddy Barrett, Consultant Cardiologist, has developed an expertise on the subject of burnout and speaks regularly at medical conferences and awareness days across Ireland on the issue. Speaking to MI, he agreed that extreme burnout is fundamentally a quality and safety issue and is not simply about people not enjoying their job or being unhappy at work, “which is an unfortunate by-product”. “This is about delivering safe and effective healthcare and there is ample, very clear evidence that for every linear increase in the measures of burnout, all the metrics we consider key performance indicators for quality and safety go down. If you look at the likelihood of engaging in unprofessional activities, that goes up. If you look at the likelihood of patients not being compliant with prescribed therapies and treatments, that goes up. If you look at the amount of people who will quit their job or just work on a part-time basis, that goes up. So when you have a manpower issue, you are compounding it, in terms of burnout. “When you look at patient satisfaction, which is becoming a big issue, that decreases the more burnout the population of healthcare providers becomes. And most importantly if you look at medical errors and standardised mortality curves there is evidence to support that as burnout goes up, medical errors go up, as does inpatient standardised mortality. 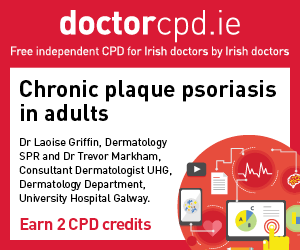 Dr Doireann O’Leary is a GP in Cork. She experienced extreme burnout while working as a trainee in the Irish hospital system. “You need a more believable story. It doesn’t sound like you were that sick.” – Consultant 1. “I wish I had the luxury of sick leave – you’re like a lady who lunches.” – Nurse. “Some of your friends told me you weren’t that sick. Be careful who you’re friends with.” – Consultant 2. “Doireann’s here! The doctor who’s never there when you need her! She’ll be a great GP!” – Consultant 1 again. “I wish I was out on ‘burnout’ for a while.” – junior doctor. These are some of the comments that Dr Doireann O’Leary said she was greeted with on return to her hospital job after an episode of sick leave/burnout. Dr O’Leary had taken this time out of her job after she ended up being admitted to hospital during an extreme episode of pain, vomiting and exhaustion – her fifth admission in six years. This admission had followed a period of weeks where she had been working exhausting hours while struggling with a knee injury and taking high amounts of painkillers. Despite asking for help and signalling she could not cope, her requests for some time off and a break from 24-hour shifts to enable her to recover were denied by the hospital, she says. After this particular visit to an emergency department, she was diagnosed with kidney stones – most likely due to chronic dehydration and had to be treated. “I wasn’t surprised. Working 90-hour weeks, 24-hour shifts, without breaks, without eating or drinking, had taken its toll,” she wrote in her online blog post about her ordeal. 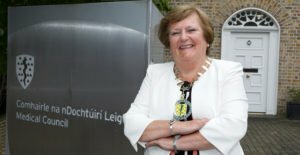 However, even then, Dr O’Leary said she was asked to return to work in the hospital the next day as a “gesture of goodwill”. Nevertheless, Dr O’Leary took the very necessary break to recover physically and says she received great support from her GP who motivated her to come up with a clear plan to return to work. Upon going back to the hospital she was armed with a new perspective on how to defend herself better from burnout. Dr O’Leary went on to become a GP and now is happy and well with better working hours and conditions. Speaking to MI, she said practical, tangible changes need to happen because the current situation in the Irish healthcare system is the perfect recipe for physician burnout. Her advice for other doctors experiencing burnout include having – and attending – their own GP, identifying their top priorities in life and focusing on them and seeking support from family and friends. When asked if there were specific solutions to burnout, Dr Barrett said efforts need to go far beyond lip service and the recent practice of offering wellness and resilience classes. He maintained that the root causes of burnout need to be recognised, based on the symptoms, and these are not unified across the world, with distinct problems in Ireland and within each hospital and department. “So there is no silver bullet strategy to fixing this, though there are some commonalities… While workload is the biggest single issue for people who are burnt out, it is not the strongest predictor of what causes burnout. What causes burnout traditionally is the lack of control or autonomy that people have, specifically in terms of how they can deploy resources – so people feel frustrated if they can’t deliver the healthcare they feel should be delivered. “But importantly and specifically within Ireland is the issue of autonomy and control around their future in healthcare. 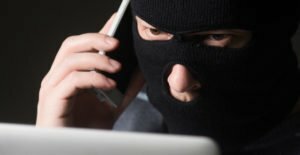 Currently Irish doctors feel there is very little they can do to change the course and trajectory of their careers, whether they are primary care doctors or consultants, insofar as they are looking at their senior colleagues and they see how frustrated they are and see it as almost inevitable that they will end up in the same situation. 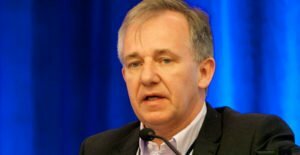 This is particularly compounded when you look at the degree of unfairness that is perceived across a lot of clinical groups; with the GPs particularly around the FEMPI cuts… And for the consultant groups the discrepancy that exists in terms of the remuneration package between the pre- and post-2012 contracts leads to a lot of perceived unfairness among colleagues. While those experiencing burnout can feel very alone in their struggles, there is help out there. The Practitioner Health Matters Programme (PHMP) provides free, confidential care and support for health professionals in Ireland who may have mental health issues such as stress, anxiety or burnout or who may have a substance misuse problem. It is fully independent and separate from the regulatory bodies and employers. Dr Ide Delargy, Clinical Lead of the PHMP, agrees that the attitude of ‘get on with it, we’ve all been there’ still prevails in the Irish health system with regards to doctors’ excessive workload. “There is a lack of recognition that this is a much more complex and complicated area. I’ve always stressed that we [PHMP] need to see people when they are burning out, not burnt out, because it is very difficult to recover from burnout and that is where we lose people – we lose them literally to suicide and we also lose them to the profession; they retire early or they drop out and in the current climate where we have retention and recruitment issues, we can’t afford to lose people to the profession, good quality, well-trained, diligent people who are a victim of the context in which they work in. “So we need to do better in that regard. We need to support people if they are not feeling well, if they are struggling. We need to hear them, we need to intervene and we need to help them to get well again, so they are able to function well back in the workplace. So there is a lot more that could be done,” she told this newspaper. The National Study of Wellbeing of Hospital Doctors in Ireland, published in May 2017, showed that one-in-three doctors were found to have experienced burnout and up to 10 per cent reported severe to extremely severe levels of depression, anxiety and stress. The research study aimed to explore the issues of lifestyle behaviours, personal wellbeing and workplace wellbeing and was led by Dr Blánaid Hayes, former Dean of the RCPI Faculty of Occupational Medicine. It surveyed hospital doctors in Ireland at trainee and consultant level across all specialties and a total of 1,749 doctors participated. Overall it found that Irish hospital doctors experience higher levels of psychological distress than their international peers and the general population, but slightly lower symptoms of depression and anxiety. While the majority of doctors (seven-out-of-10) had a strong desire to practise medicine, four-out-of-five doctors reported significant work stress, with the effort put into their work exceeding the rewards gained. Additionally, the majority had a tendency to commit highly or even overcommit to their work. The average working week of doctors in Ireland was 57 hours, which is in excess of European Working Time Directive (EWTD) requirements. Only one-in-five surveyed doctors reported having enough time for family or personal life due to work commitments. While over half (52 per cent) of respondents rated their health as very good/excellent, eight-out-of-10 reported working at times when they were ill or injured. Over a third (35 per cent) reported that they had experienced psychological distress. Severe/extremely severe symptoms of depression, anxiety and stress were evident in 7.2 per cent, 6.1 per cent and 9.5 per cent of participants. Over two-thirds of doctors (68.4 per cent) indicated that if they were experiencing mental health problems they would not want others to know, thus self-stigma is clearly a barrier to doctors seeking help. In general, the personal wellbeing level was lower and work stress level was higher in trainees than in consultants. There was also considerable variance in wellbeing and work stress across different specialties. The findings suggest that much needs to be done to improve both working conditions for young doctors and their awareness of mental health issues. The HSE and the medical training bodies all have various doctor wellbeing and health policies and services in place to address burnout. However, certain medical specialties appear to have higher rates of suicide and burnout than others. Anaesthesiology is seen as a high-risk specialty for burnout owing to demands like long working hours, night shifts and the direct patient responsibility and risks of anaesthesia practice. In an interview with MI, key figures in the College of Anaesthesiologists of Ireland (CAI) outlined a number of current, new and planned supports and services it has in place to help support doctor wellbeing and address burnout and potential suicide risk in its members. Currently these include a series of website supports, a national network of tutors who maintain close relationships with the trainees, while the training sites are also visited by senior College members annually, with a College trainee group (CAT), which provides a peer support system for first year trainees and lead trainees on every site. President of the CAI Dr Brian Kinirons said doctor wellbeing is one of the key themes of his Presidency. He explained how the College has begun rolling out a new comprehensive programme on wellbeing and wellness, which has to date included wellness talks by a clinical psychologist, a talk on burnout by Dr Barrett, and a session on the work of the PHMP by Dr Delargy. The College is also partnering with its UK equivalent on a ‘fighting fatigue’ campaign for anaesthesiologists, which is a key risk for the profession, said Dr Kinirons. He noted that there have been cases of doctors who have died in car crashes on their way home after working long hours. In addition, the CAI is partaking in a cross-border suicide survey of anaesthesiologists in the UK and Ireland. Like Dr Barrett, Dr Kinirons noted that poor health impairs physicians’ ability to deliver at their best and there are poorer outcomes in patients treated by burnt out doctors, “so it is a patient safety issue as well”. Mr Martin McCormack, CEO of the CAI, said the College is also working at national level to try to change system stressors for its doctors. “Lack of control is a key issue of physician burnout – over your time, schedule, resources, your environment and the future. So while resilience training is part of undergraduate and postgraduate training, by itself that is not enough. A one-day course on resilience is not enough. We are getting feedback from our trainees about the organisation structures and systems in which they operate and we are trying to play a leadership role in trying to change those at a national level,” he said. Dr Kinirons added that the College is also strongly advocating for shift work changes in the hospital system. “Our doctors should not be working 24 hours. We want a system that is humane to the doctor and is reasonable in terms of balance of life and work. We are also very keen that there in an environment in the hospital where doctors can go and rest during their shift and where there are on-call rules. All that is very important. There is an organisational piece at the coalface that needs to be done in regards to moving towards better compliance with the European Working Time Directive (EWTD),” Dr Kinirons stated. 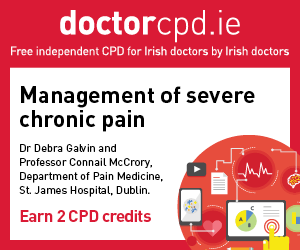 Both Dr Kinirons and Mr McCormack noted that while doctors earlier in their career are at particular risk of burnout, it can affect doctors at all stages, so awareness and avenues of help across doctors’ lifetime are key. “We do take this very, very seriously… and we are focusing on an inclusive wellbeing strategy and trying to show leadership and bring people together. So we are sending out the message that no matter their level of experience we want people to feel okay about talking about this and asking for help,” Mr McCormack said.